Scanner Monitor: Small Dachshund in traffic N of Mississippi and I-225. Woman in traffic trying to catch it. Please use caution. High winds have blown over 2 semis. this is 3 miles south of Cheyenne on I-25. we are not seeing much ice at this point. Roads are mainly wet and slushy. for current road condition information across the state. 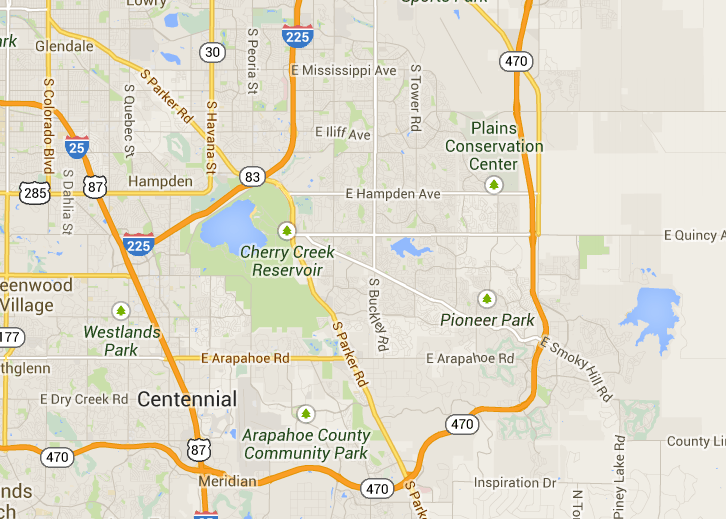 Arapahoe County is on Accident Alert. You may report accidents through this site if it meets these requirements. This report should also be used when "Accident Alert" was in effect at the time the accident occurred. "Accident Alert" is defined as those times when weather conditions are so severe that State Troopers and Police Officers are unable to respond to the large volume of motor vehicle crashes. Accident Alert is initiated on a jurisdictional and geographical basis, in other words some cities may be on accident alert whereas others may not depending on how the weather conditions are affecting each jurisdiction. To find out if the location of your accident was on "Accident Alert" at the time of your accident, contact the law enforcement agency with jurisdiction over the location of your accident. We got a dusting of snow overnight. Roads are a bit icy in spots but so far we are fairing fairly well. [url=http://smokyhillbound.wordpress.com/2011/10/26/winter-storm-warning-for-aurora-denver-centennial-and-arapahoe-county/www.smokyhillbound.com]Smoky Hill Bound[/url] will be keeping you informed of all the weather alerts and school closures in the Denver Metro Area. Centennial, Southeast Aurora, Saddle Rock, E470, Southands, Arapahoe County, Piney Creek, etc. is looking at anywhere between 2″-4″ of snow during the day monday. Our [url=http://smokyhillbound.wordpress.com/]blog[/url] and [url=http://twitter.com/#!/SmokyHillBound]twitter[/url] pages will have info and the Smoky Hill Bound [url=http://www.smokyhillbound.com/]Forums[/url]. http://www.smokyhillbound.com.